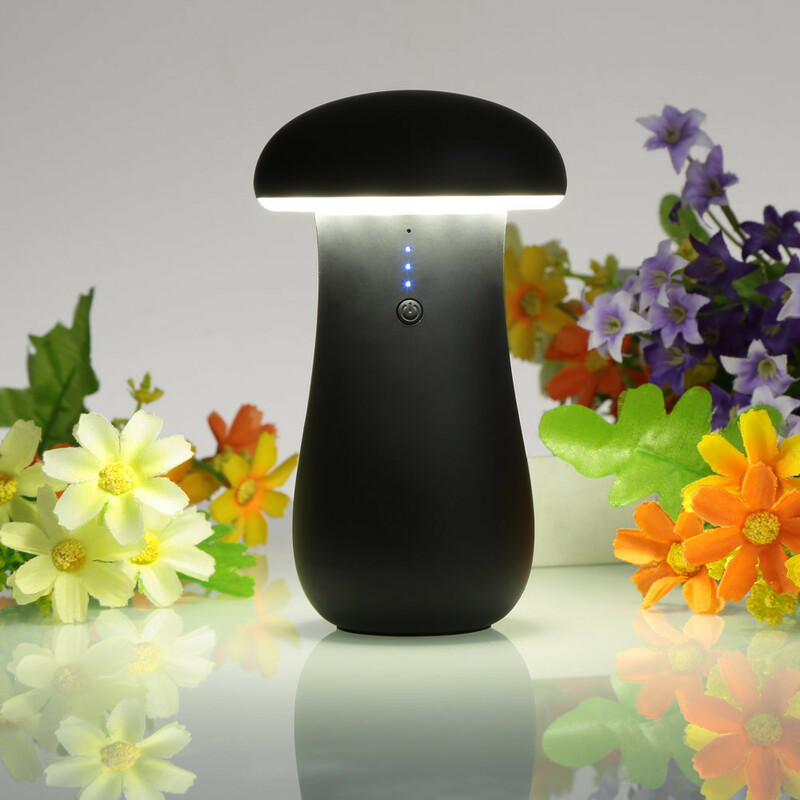 Mushroom power bank with built-in 8800 MAH polymer Li-ion battery. With 4 indicator LED to display battery levels. 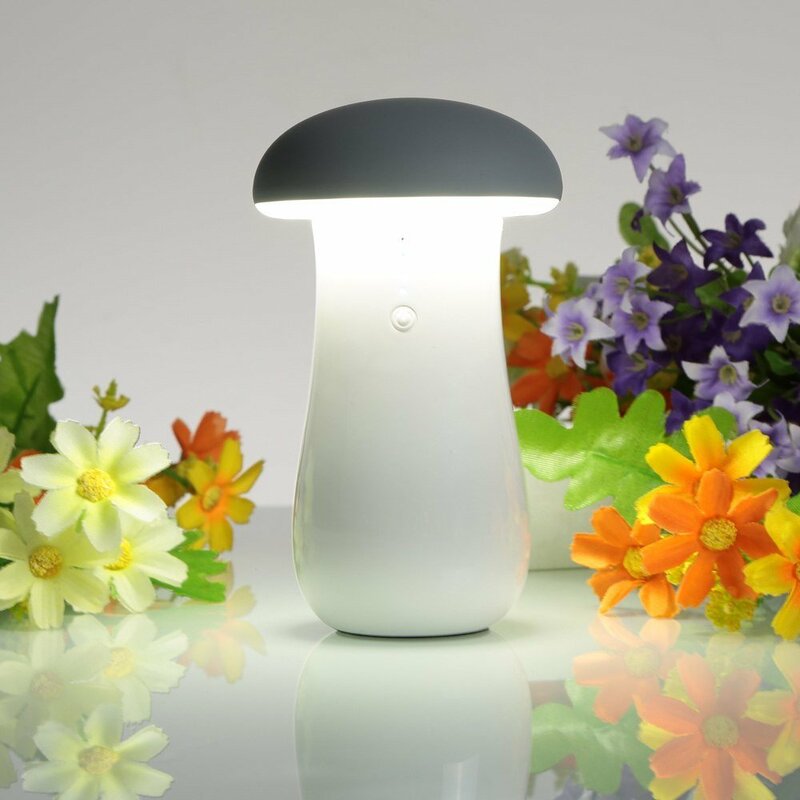 With delicate and attractive design. 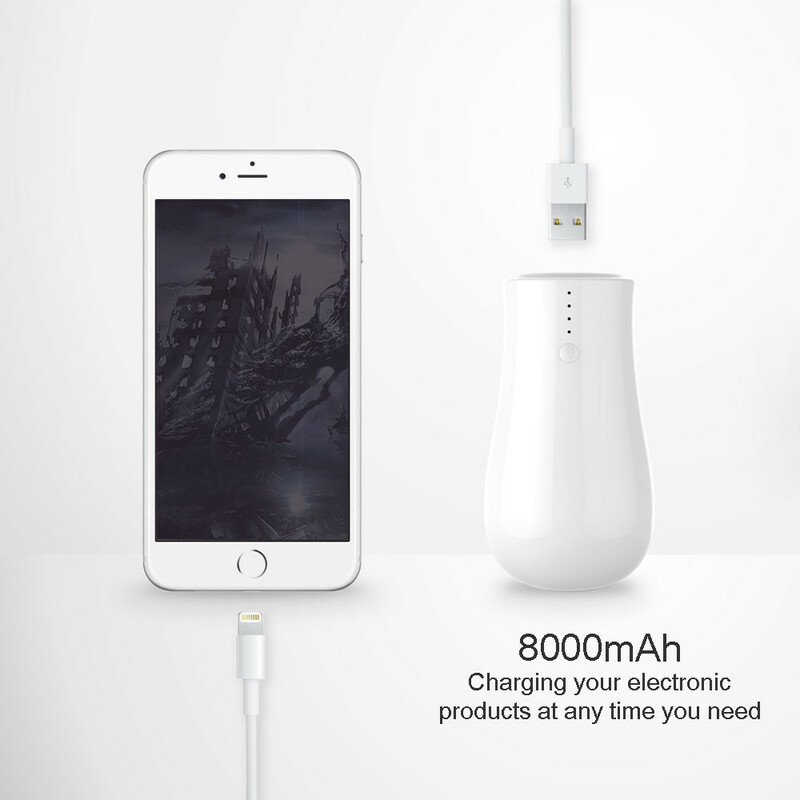 It comes with the complete product safety design including over-charging protection. 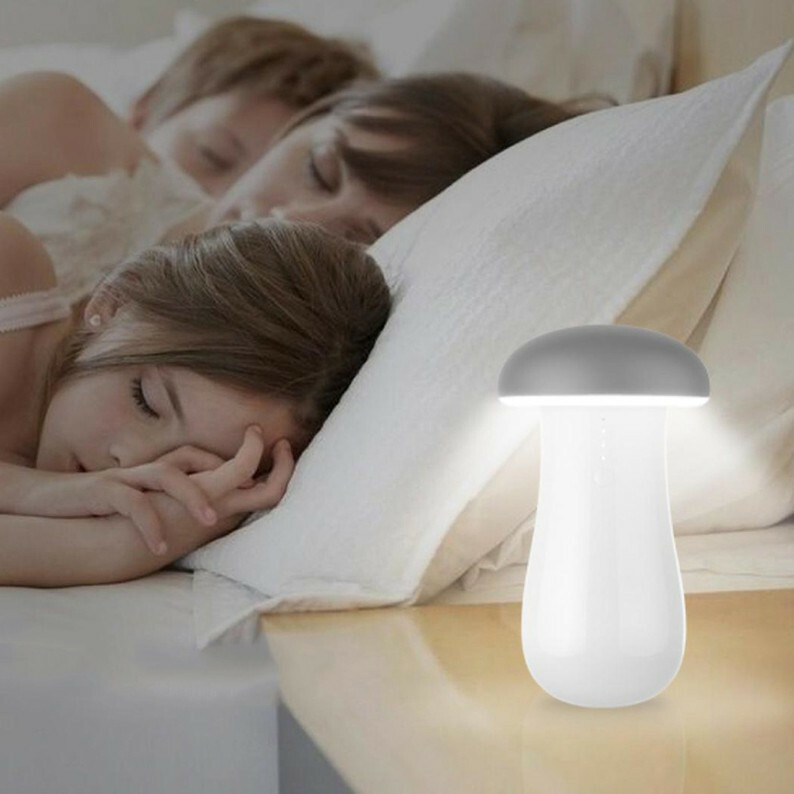 This product is applied unique design to combine with LED night lamp. 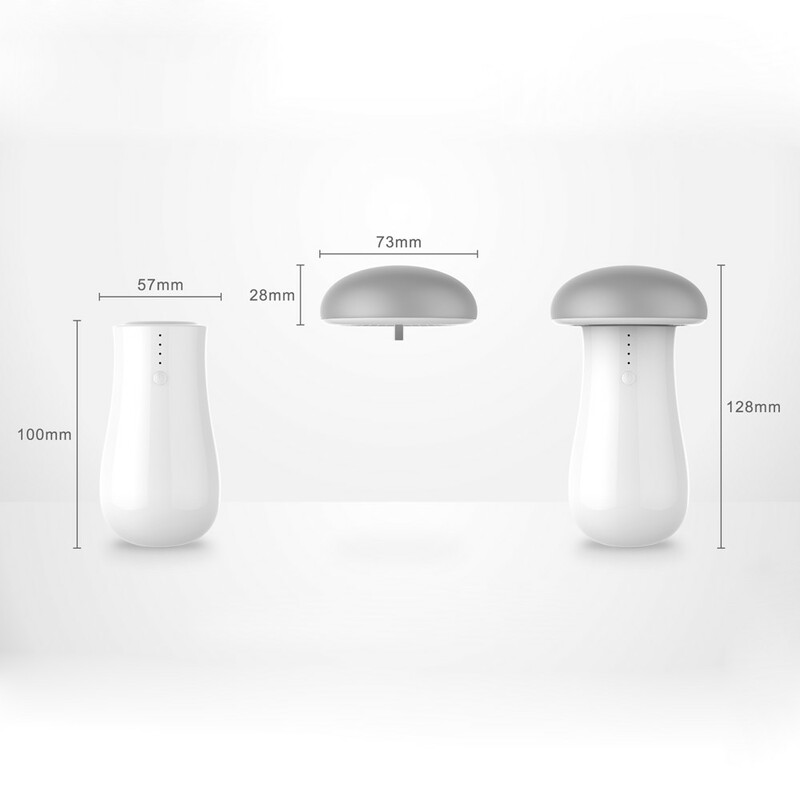 The mushroom head is lamp part and the stem is power bank. 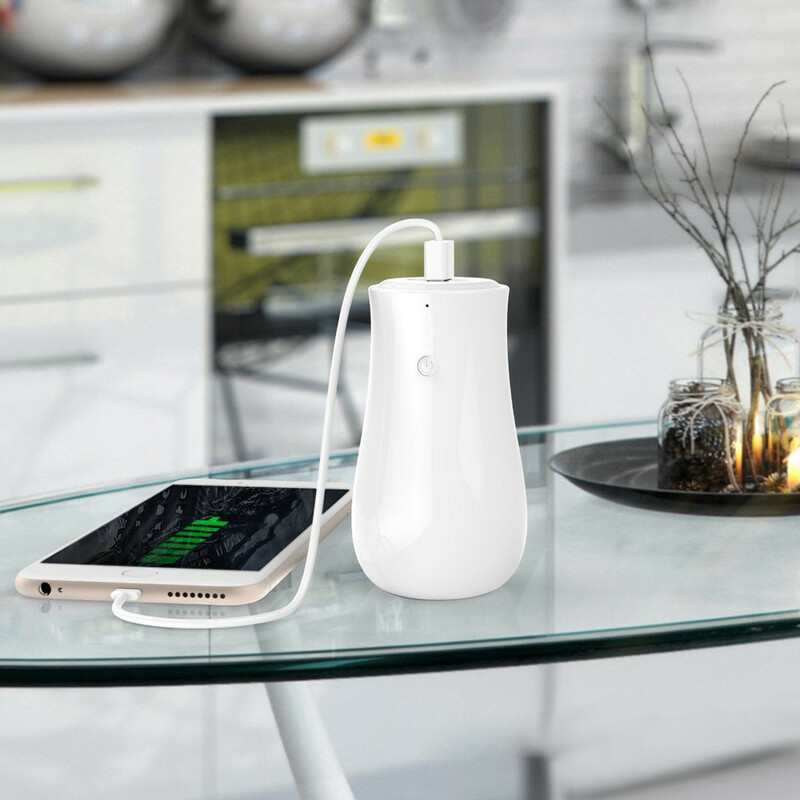 It’s able to charge up the mobile devices for 3 to 5 times. The battery cycle life is more than 1000 times. 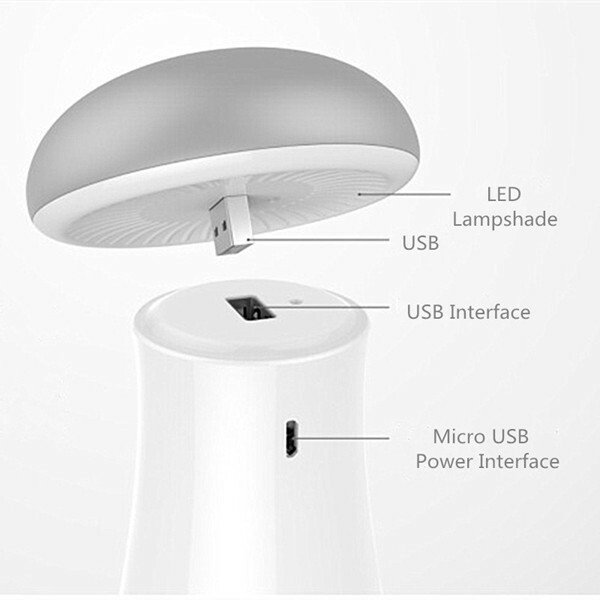 There’s 5V input port to be used for battery charging, one charging cable provided. 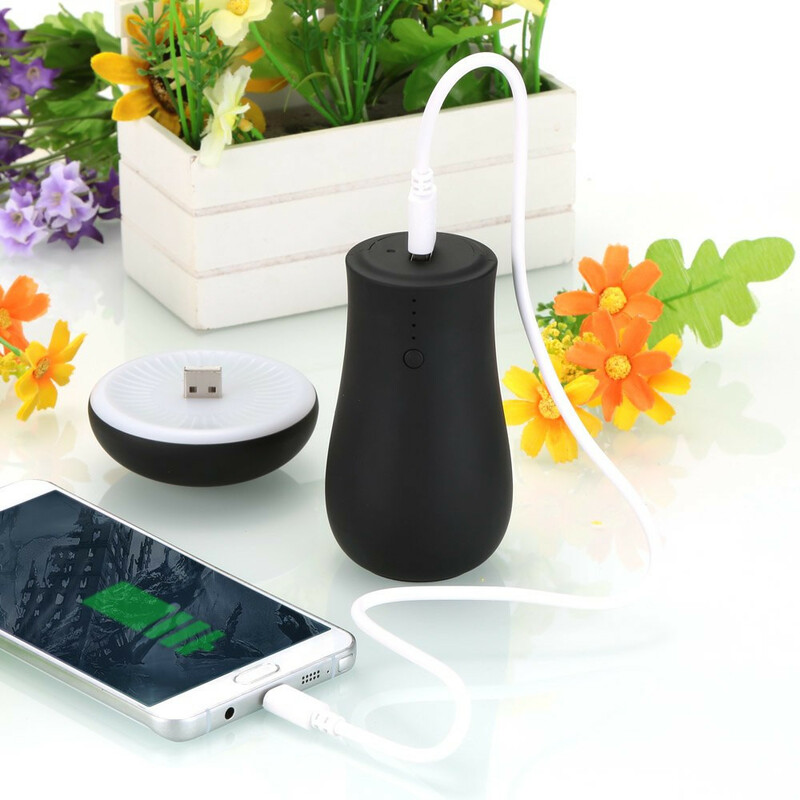 Mushroom power bank with built-in 8000 MAH polymer Li-ion battery, it can rapidly charge up your cell phone or tablet PC via the 5V USB output port. 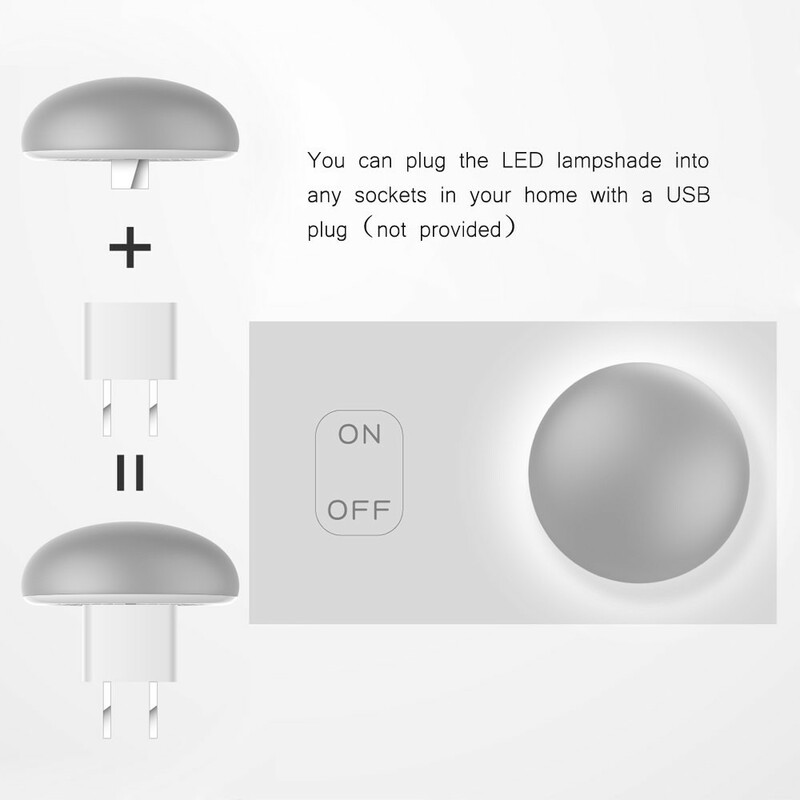 This product is applied unique design to combine with LED night lamp. 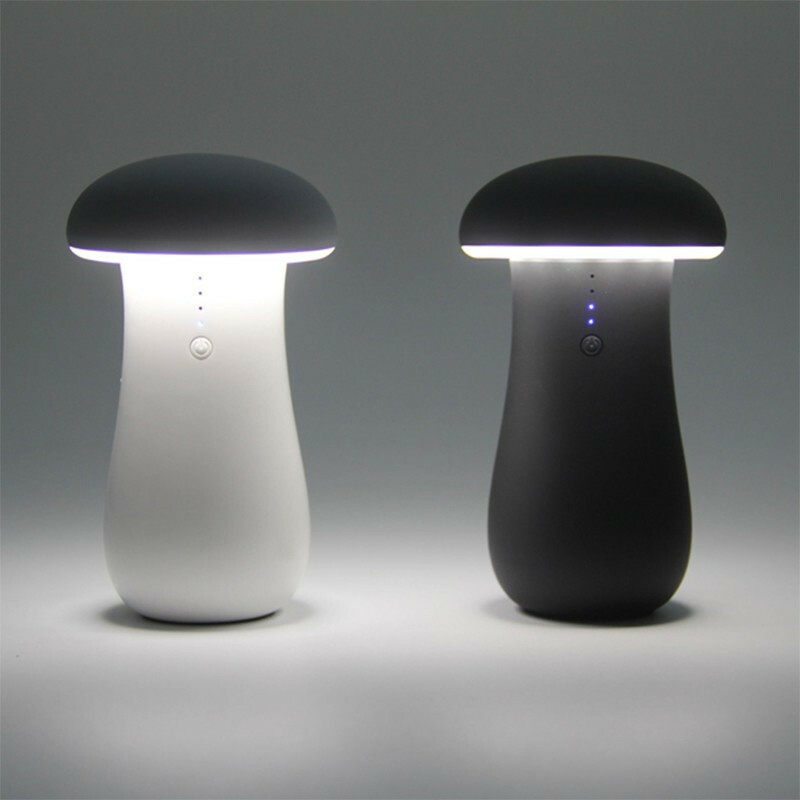 The mushroom head is lamp part and the stem is power bank. Both parts are detachable. 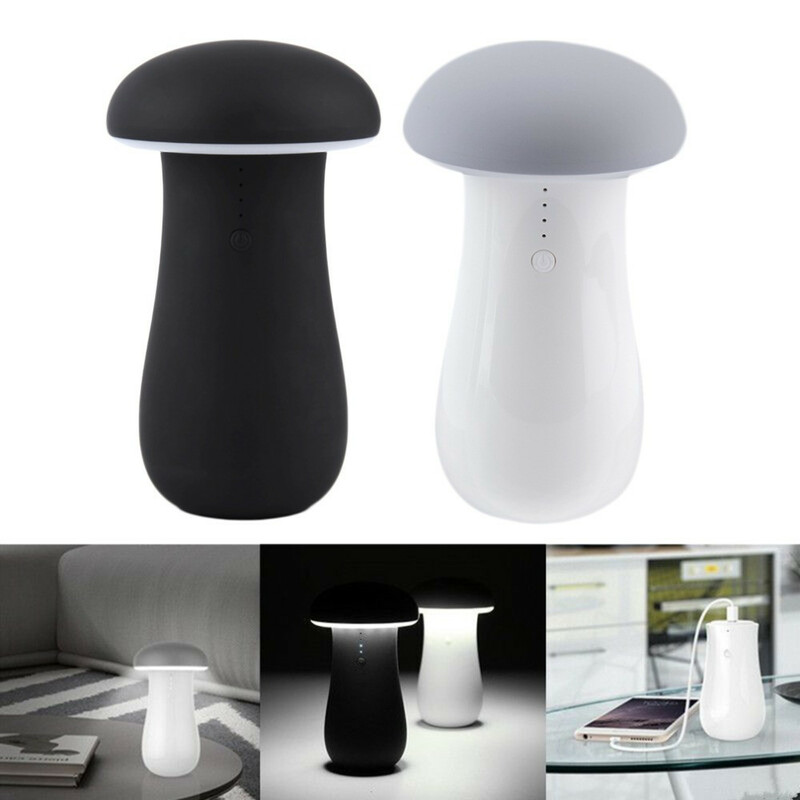 Join them together through USB port and press power button to light up the lamp, very easy. 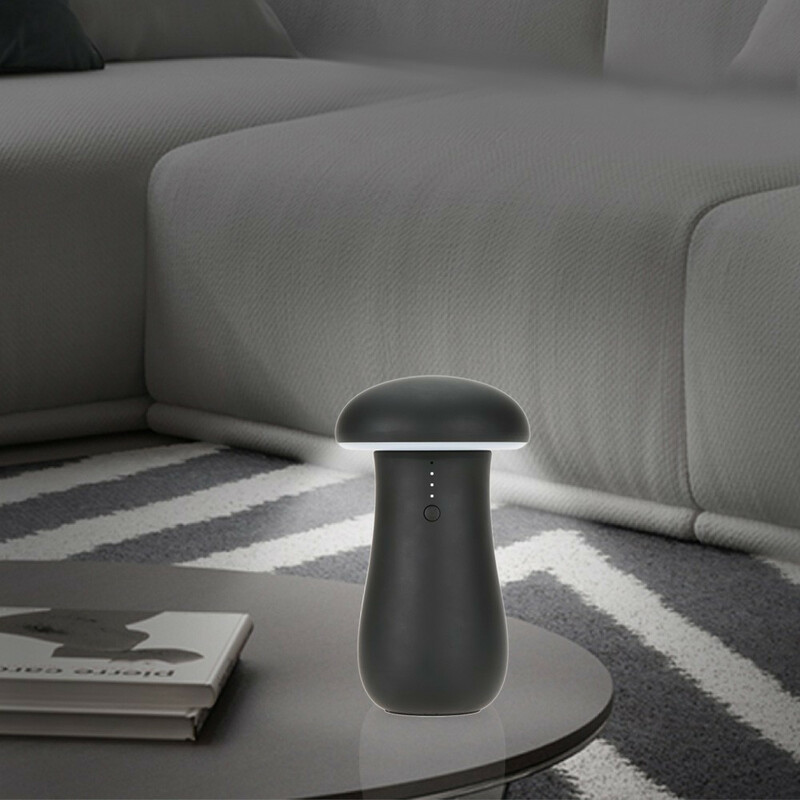 Full capacity can support lighting over 20 hours. 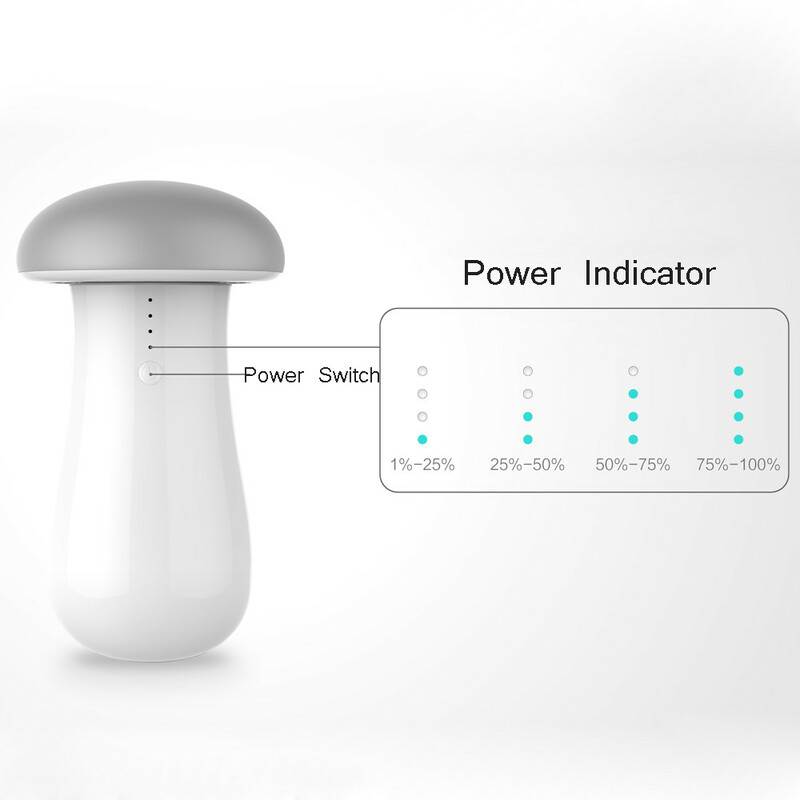 There’re 4 indicator lights to display battery capacity as 4 levels. Based on situation of full capacity. The appearance is delicate and attractive. That’s great to use it as an ornament of your house. Certainly it’s also a utility appliance. 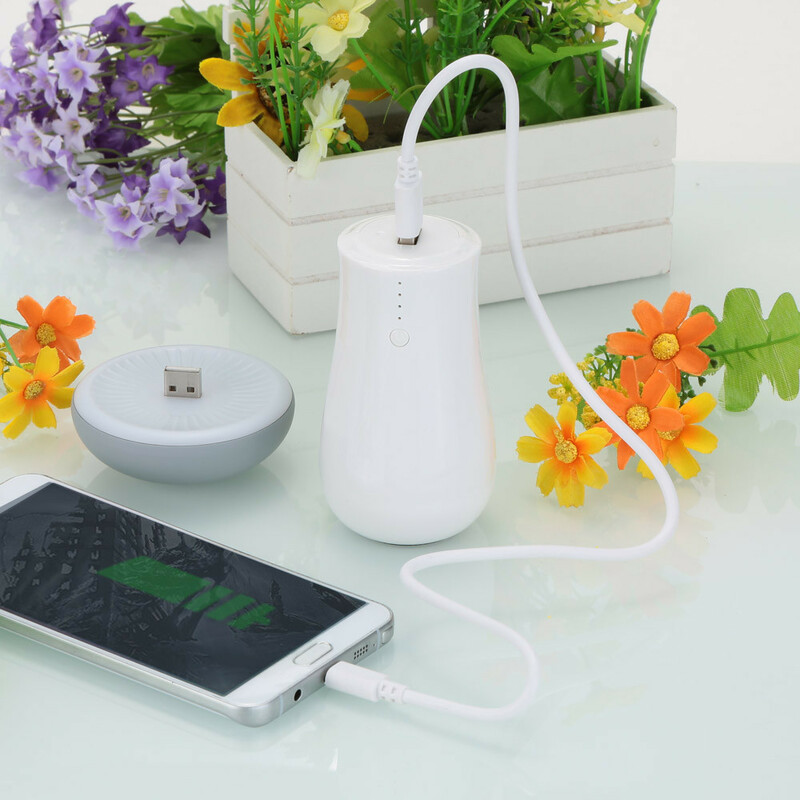 It comes with the complete product safety design including input over-voltage protection, output over-current protection, over-temperature protection, output short circuit protection etc.